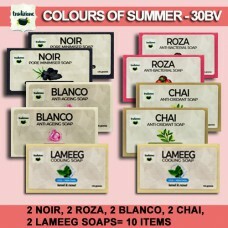 This package includes: 2 Blanco Anti-Ageing Soaps 2 Noir Pore Minimiser Soaps 2 Paia Exfoliat.. This package includes:1 Tropica Shampoo1 Ceda Conditioner1 Bella Feminine Wash1 Yapaq Foot Spray1 Ro.. 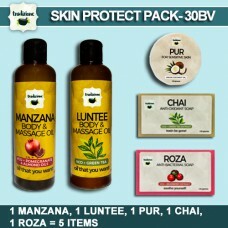 This package includes:1 Manzana Body and Massage Oil1 Luntee Body and Massage Oil1 Chai Anti-Oxidant.. 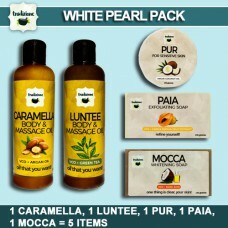 This package includes:1 Caramella Body and Massage Oil1 Luntee Body and Massage Oil1 Paia Anti-Exfol..